Welcome to easy living at Continental View. This bright corner unit with indoor (one space) garage has serene views of Guion Creek. From the well maintained lobby you can walk right into this bright and sunny 2 bedroom, one bathroom condo. Expansive large living room with hardwood floors, eat in kitchen, oversized master bedroom with walk in closet, second bedroom also has hardwood floors and lots of closets. Don't worry about all your stuff! There is plenty of storage in the storage locker located right down the hall. The building also a large common laundry room, and while you are washing your laundry, go work out in the gym a few doors down. 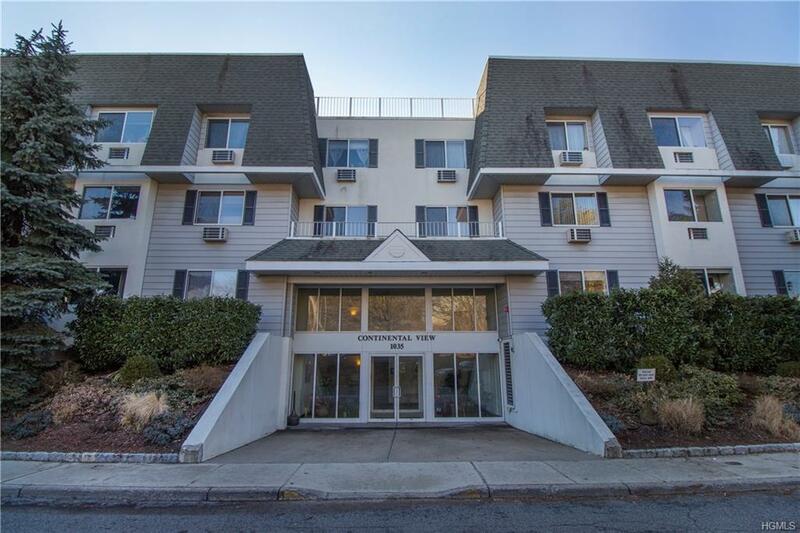 This building is a short 20 minute walk to the Mamaroneck train station. Stroll to Harbor Island Park and Beach, and the bustling Mamaroneck Ave. with many shops and restaurants. Municipal permit parking lot adjacent to the building. Taxes do not reflect STAR reduction of $1373 if applicable. Come have a look! Listing courtesy of Grace Dipalermo of Coldwell Banker Res Brokerage.